The road to Sunrise, located on Mount Rainier’s northeast corner, will open Friday, July 1, just in time for the Fourth of July weekend, and there are plenty of summer time activities to enjoy. The Sunrise Visitor Center in Mount Rainier National Park is still scheduled to open July 8. New exhibits tell the story of the Sunrise area of the park–the volcanic forces that created the mountain, the glaciers that mold the landscape, the plant and animal life of the subalpine meadows, and the tribes that are tied to the area. 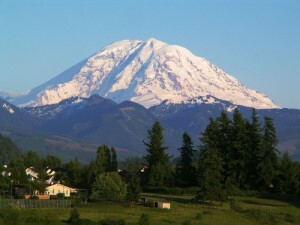 For more information on camping near Mount Rainier National Park please visit 5 Star Campgrounds. This entry was posted on June 30, 2011 at 12:42 pm and is filed under In the News, National Parks. You can follow any responses to this entry through the RSS 2.0 feed.